Velkommen ‘til Solvang, as we say in Danish--Welcome to Solvang! Upon first glance, it may look like you are in a Danish fairytale land, complete with windmills, brightly painted half-timber buildings and a statue of the fabled “Little Mermaid!” While you may feel whisked away to a different time and place; where you are right now is a unique, historic California city that is very vibrant today! My name is Elsa and my family has been living in Solvang since its beginning in 1911. I have the inside scoop, not only on the rich history that makes this city so unique, but also what is so fun and exciting to experience in Solvang these days. I’ll be taking you to 22 of my favorite places and some hidden gems. You can pause and resume the tour, and you can play and replay information at any time. Feel free to skip around; though to be sure you don’t miss any treasures, I recommend following the suggested route. Just go at your own pace, explore anything that catches your eye, and have a great time! 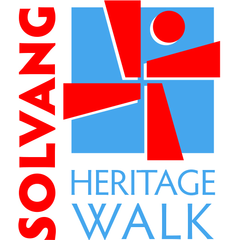 So now, it’s time to experience the Solvang Heritage Walk! Let’s go! I have been visiting Solvang regularly for 35 years. I thought I knew a lot about the town. This audio tour taught me so much more. It’s pleasant to listen to and I love the information. The Chinese tour narrator is excellent, she makes me want to go to visit Solvang in coming March ! Very nice tour!!! so professionally made!